In 2010, if you had expenses in the coverage gap, you should have received a $250 rebate from Medicare. Beginning in 2011, if you've reached the donut hole in a given year, you receive a discount on the total cost of your medications while in the gap. The discount started out at 50 percent for brand name drugs in 2011 and 7 percent for generic drugs, but it has grown each year since then. But the Bipartisan Budget Act of 2018 is closing the donut hole one year early for brand-name drugs: In 2019, Part D enrollees will pay just 25 percent of the cost of brand-name drugs until they reach the catastrophic limit (ie, the top of the donut hole). There will still be a donut hole price differential for generic drugs in 2019 (enrollees will pay 37 percent of the cost of generics) but that will drop to 25 percent in 2020. By 2020, these changes will effectively close the coverage gap for both generic and brand-name medications. Rather than paying 100% of the costs (as was the case prior to the ACA's changes), your responsibility will be 25% of the costs. Although the coverage gap will eventually be eliminated, it is important to remember that you will still be responsible for paying 25% of the costs of your prescription drugs if you have a standard plan design. If you take a lot of medications or ones that are expensive, the costs could still be burdensome. It's important, therefore, that you are aware of resources that may be able to help you. How Many People Reach the Donut Hole? According to a 2018 report from the Kaiser Family Foundation, more than 5 million Medicare Part D plan participants reached the coverage gap in their prescription drug coverage in 2016. This gap—known as the "donut hole"—occurs after an enrollee has reached a specified level of drug spending (the initial coverage limit) but has not spent enough to reach the catastrophic coverage threshold. People with chronic conditions, such as Alzheimer's disease or diabetes, have a much higher risk of reaching the coverage gap than people without chronic medical needs. If you only need an occasional prescription, you're not likely to reach the coverage gap, since it doesn't begin until your total drug spending reaches the initial coverage limit, which is $3,750 in 2018. Prior to the ACA's changes, people had to pay for 100 percent of the cost of their drugs while in this gap. But the percentage of the cost that enrollees have had to pay has been shrinking every year as a result of the ACA. It's important to understand, however, that drug costs have also increased during that time. So while you may be paying a lower percentage of the cost now than you were a few years ago, it's still possible that your total cost each time you refill a medication could be increasing, due to the increasing cost of medications. And the upper threshold of the donut hole (where catastrophic coverage kicks in and medication costs decline significantly) increases a little each year, which results in more out-of-pocket spending for Part D enrollees with extensive prescription needs. Particularly before the ACA began closing the donut hole, some people stopped taking their medication once they reached the donut hole. 2007 was the first time that people were enrolled for the full year in Part D coverage, and the ACA didn't start closing the donut hole until several years later. So enrollees who reached the donut hole in 2007 were responsible for 100 percent of their medication costs until they reached the catastrophic coverage threshold. A Kaiser Family Foundation analysis of 2007 medication utilization among Part D enrollees found that about 15% of people who reached the coverage gap stopped their medications. For example, 10% of people in a Medicare drug plan who were taking oral medications for the treatment of type 2 diabetes who reached the coverage gap stopped taking their medications. For a person with diabetes, stopping medication for even a short period of time can cause serious and immediate health problems. 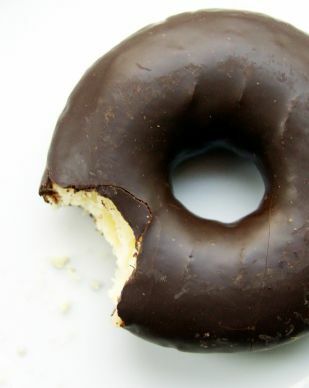 Fortunately, the Part D donut hole is being eliminated in 2019 for brand-name drugs and in 2020 for generic drugs. But until then, let's take a look at some ways to save money if you end up in the donut hole. How Can I Lower My Drug Costs in the Donut Hole? Consider switching to a less-expensive drug One of the easiest ways to lower your prescription drug costs in the donut hole is to switch to lower cost or generic drugs, as available and appropriate. You can talk with your doctor about the medications you are currently taking to find out if there are generic or less-expensive brand-name drugs that would work just as well as the ones you're taking now. For example, if you take Zoloft for depression, you can save money by switching to sertraline, the generic version of Zoloft. If you have a chronic condition, such as diabetes, ask your doctor to write a prescription for a 90-day supply of your medication. Many Medicare drug plans offer a discount if you use their mail-order program. Also, your local pharmacy may give you a 90-day supply of your medications for the same price as the mail-order plan. Several national and community-based charities have programs that can help you with the cost of your medications. A good place to start is the website of Benefits Checkup, a service of the National Council on Aging. The site provides easy-to-read information about the Medicare prescription drug plan, how to find additional benefits and how to apply for extra help. Many major drug companies offer assistance programs for people enrolled in a Medicare drug plan. You can find out whether a Patient Assistance Program is offered by the manufacturers of the drugs you take by visiting the Pharmaceutical Assistance Program page on the Medicare website. All you need to do is find your medication in the alphabetical list. The site then provides information about available savings programs and a link to the drug company's site to obtain information on how to apply for assistance. Many states offer help with paying drug plan premiums and other drug costs. You can find out if your state has a program by visiting the State Pharmaceutical Assistance Program (SPAP) page on the Medicare website. The National Conference of State Legislatures has a comprehensive summary of SPAPs across the country and how they work. This extra help, available through the Social Security Administration, can save you money by paying for part of your monthly premiums, annual deductibles and prescription copayments. Is There Anything That I Can Do to Avoid the Donut Hole? Yes. You can avoid the donut hole if you are able to keep the total cost of your drugs below $3,750 in 2018. One of the best ways to do this is to ask your doctor to switch you to generic medications, if available and appropriate. This initial coverage limit is higher than it was in 2011, when the ACA first started to provide discounts in the donut hole (that year, the donut hole began once your total drug spending reached $2,840). But the donut hole itself is also considerably less painful than it was back when enrollees had to pay the full cost of their medications. The ACA's ever-increasing discounts mean that enrollees in 2018 pay just 35 percent of the cost of brand-name drugs while in the donut hole, and 44 percent of the cost of generics—as opposed to 100 percent in the years before 2011. Do Any Part D Drug Plans Pay for Drugs in the Donut hole? Yes. Some Medicare Part D drug plans have some drug coverage in the donut hole. These plans, however, tend to have a higher monthly premium and will only pay for certain medications. Congress.gov. H.R.1892. Bipartisan Budget Act of 2018. Enacted February 9, 2018. Cubanski, Juliette; Neuman, Tricia; Damico, Anthony. Kaiser Family Foundation. Closing the Medicare Part D Coverage Gap: Trends, Recent Changes, and What’s Ahead. August 21, 2018. Hoadley, Jack; Hargrave, Elizabeth; Cubanski, Juliette; Neuman, Tricia. Kaiser Family Foundation. The Medicare Part D Coverage Gap: Costs and Consequences in 2007. August 2008. National Conference of State Legislatures. State Pharmaecutical Assistance Programs. June 1, 2018.